Call today to purchase gift cards in any amount. Get the woodworker on your list the card that lets them pick out the things they want. 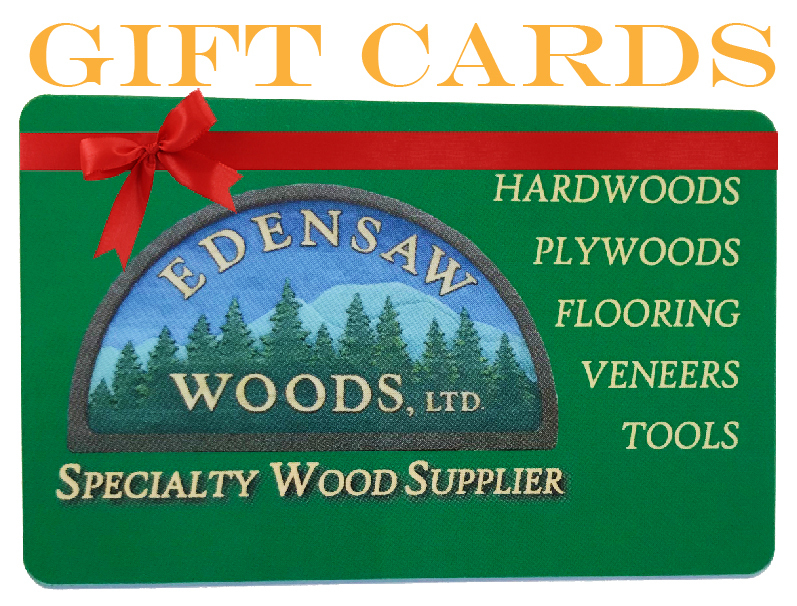 It's not always easy to buy just the right thing, from wood to tools, a gift card can be just the right thing to fit the bill. Our friendly staff will be happy to send the cards directly to your special wood worker.